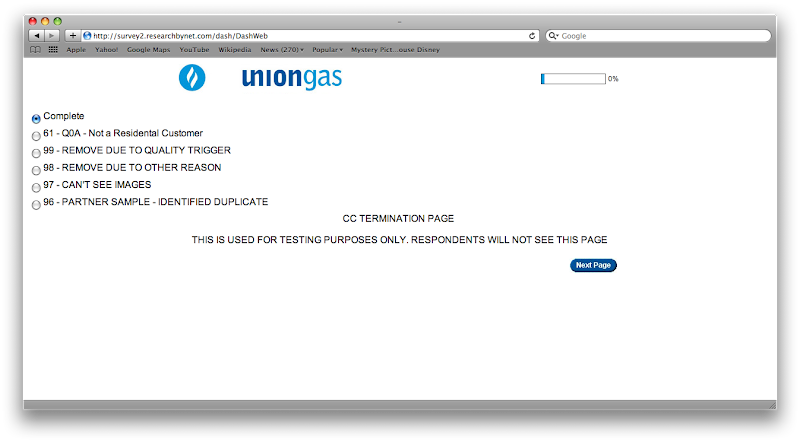 Rick Scott reports: My wife found this page at the end of a website feedback questionnaire for the local gas company. She claims my bug-finding mojo is rubbing off on her. I think she's being overly charitable.